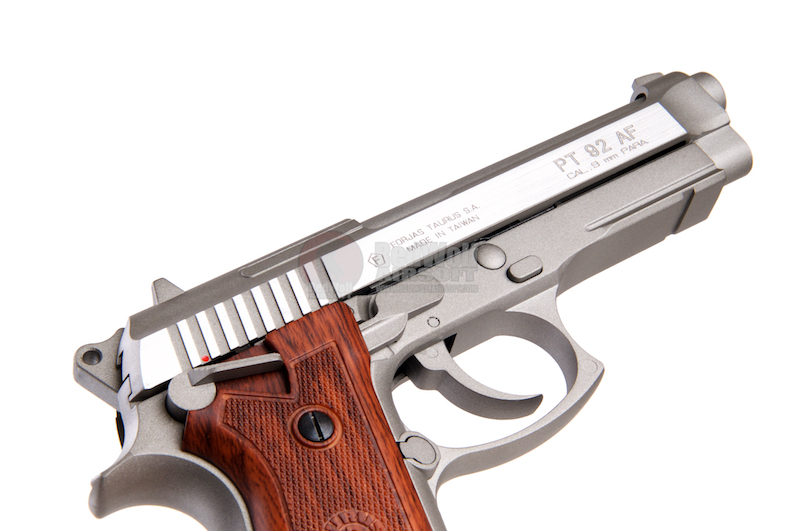 The Taurus pistols are manufactured by Brazilian company Forjas Taurus SA. 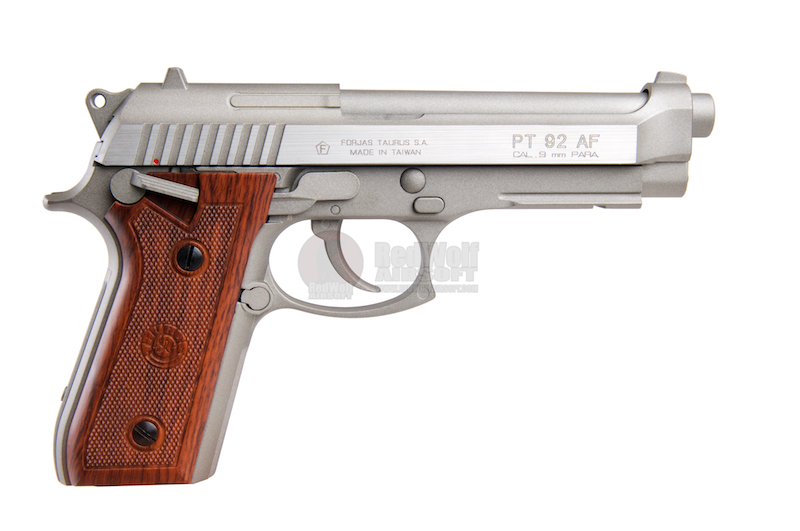 The original PT92 pistol was exact copy of the original Beretta 92 pistol, and PT92 still carries some of the original Beretta features, such as frame mounted safety, but, since its introduction, Taurus PT92 had been significantly improved, and currently represents affordable pistol of high quality. 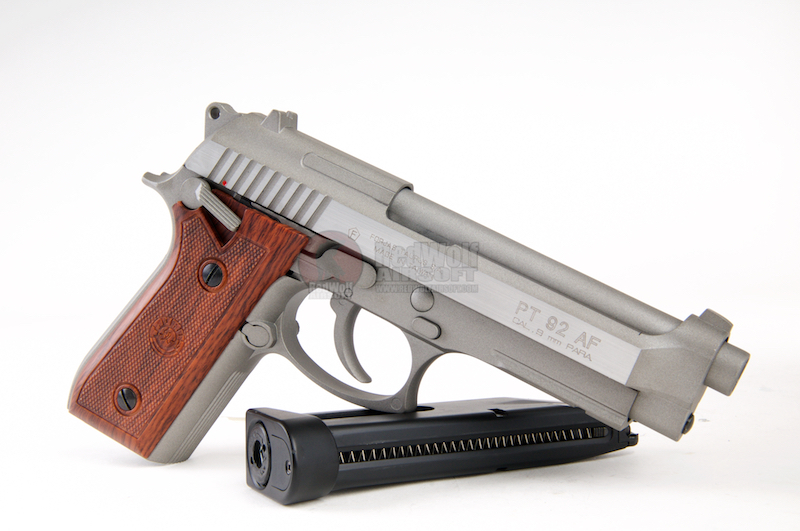 The Cybergun Taurus PT92 Hairline Silver Co2 GBB is a full metal co2 pistol powered by KWC system, it has every feature of the original Taurus 92. The metal slide and frame is in matte silver, while the left and right side of the slide has been polished into a hairline texture. 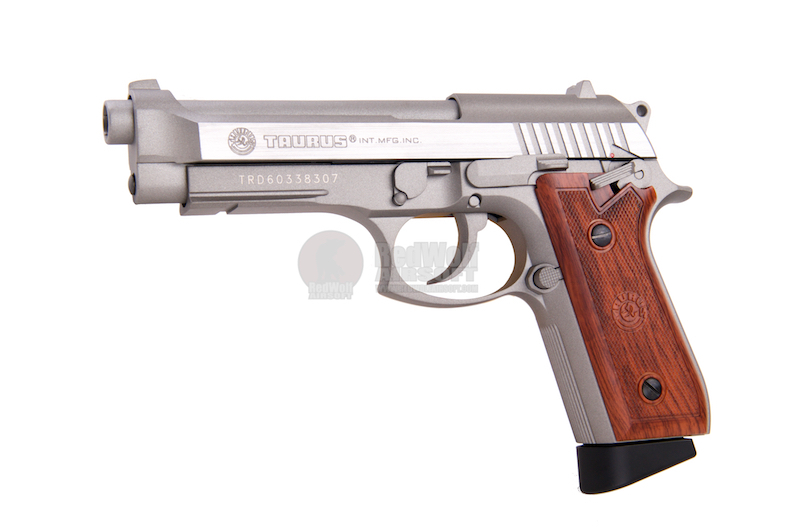 Faux wood grip is also equipped with the gun with Taurus markings on it. 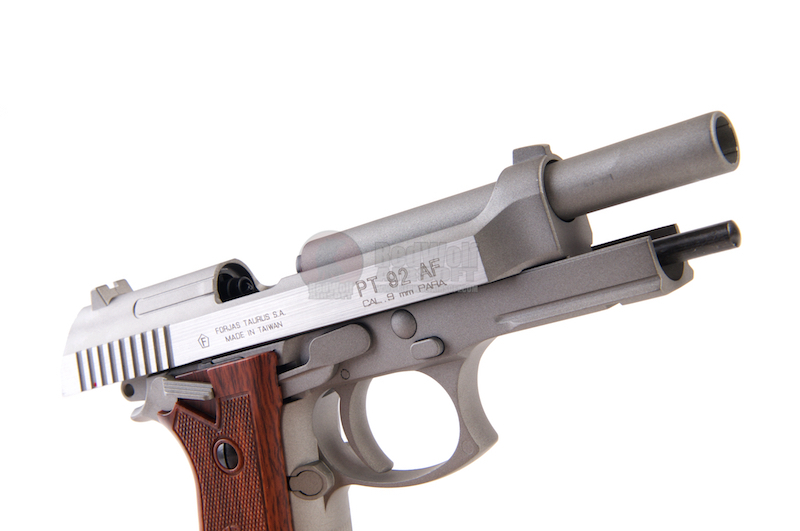 The slide also have Taurus authentic markings on it, which were licenses by Cybergun. 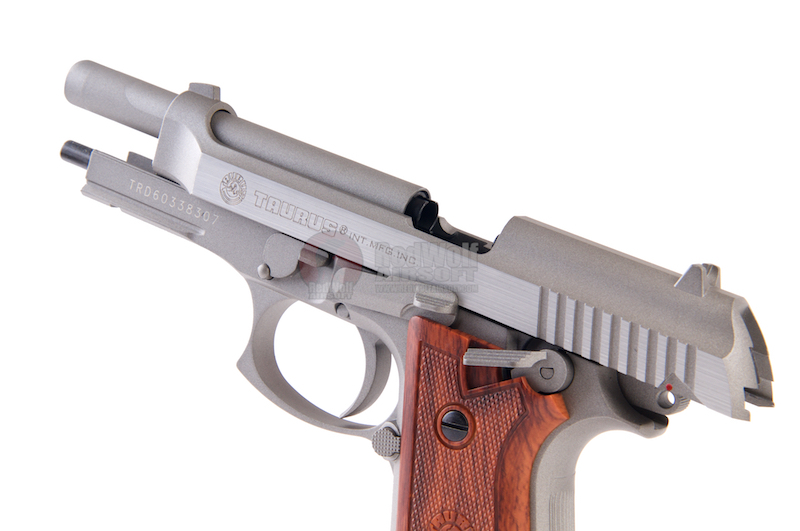 The KWC co2 system delivers a stable 340 fps with the co2 magazine, which the magazine holds 28 rounds. It could also use the KWC PT92 co2 magazines. Hop up is found under the barrel after the slide has been removed from the gun and has an hop up adjustment dial for easy adjustment.